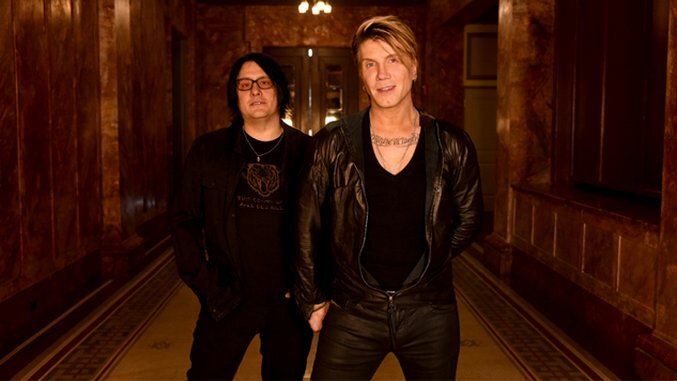 This John Rzeznik-fronted rock band hit gold with their 1998 track “Iris” off of the album Dizzy Up The Girl. The song topped the Billboard charts and was prominently featured on the soundtrack for the 1998 film City of Angels, cementing it in eternity as the tune that will always remind you of your high school sweetheart. You may have lost track of The Goo Goo Dolls but they certainly haven’t slowed down, releasing their latest album, Boxes, this past month. The band has a jam-packed summer tour schedule that includes stops in the U.S. as well as Canada and the United Kingdom, so if you are feeling nostalgic you can just “Slide” up to the box office and check them out. The Gin Blossoms formed in 1987 but their big commercial breakthrough didn’t come until the 1992 hit “Hey Jealousy,” a track remastered for the album New Miserable Experience. The song landed at No. 25 on the Billboard Hot 100 in 1993 and went on to be one of the band’s most notable successes. Since then, this alternative rock group has released a number of albums and continue to tour around the United States. In May The Gin Blossoms shared a social media post about recording new songs so keep an ear out for updates. Filter captured our hearts with hits like “Hey Man Nice Shot” and “Take a Picture,” stalling out in 2002 when lead singer Richard Patrick checked into rehab. The band reunited with Patrick in 2008 and went on to release four additional albums, with the latest, Crazy Eyes, dropping this past April. Filter is currently touring in Europe with shows scheduled for Germany, Sweden, Switzerland, Estonia and the U.K. Remember when you couldn’t flip on the radio without hearing 3 Doors Down tracks like “Kryptonite,” “When I’m Gone” or “Here Without You?” Well, this rock band may have lost its place as request line favorite, but 3 Doors Down has continued to release music and perform, going through several major lineup changes in the process. Original drummer Daniel Adair left the band in 2005, guitarist Matt Roberts departed in 2012 and bass guitarist Todd Harrell went his own way in 2013. But the remaining members of 3 Doors Down have kept on kicking, recruiting new members and dropping their latest album, Us and the Night this past March. The band is currently on tour in the U.S. Formed in 1993, this band was best known for hits like “Semi-Charmed Life,” “How’s It Going to Be,” “Never Let You Go” and “Jumper.” Their distinctly 1990’s California alt-pop sound not only dominated the radio waves but was also a perfect pairing for teen movie soundtracks including American Pie and Coyote Ugly. The band is currently on tour, making stops at festivals like Outside Lands, Lollapalooza and Bonnaroo, and performing shows through September 25. No matter what happens to this Southern California alt-rock band, their track “Open Road Song” will always live on in the opening credits of the seminal teen flick Can’t Hardly Wait. Also known for hits like “Inside Out” and the graduation-slideshow ready “Here’s to The Night,” Eve 6 broke up in 2004, but reunited for tours in 2007 and officially rejoined in 2011. The band’s last album, Speak in Code, was released four years ago, but Eve 6 is currently on tour so if you feel like taking a trip back through time, now is your chance. 1990s teens will never forget the hit McCain tracks, “I’ll Be” and “I Could Not Ask For More.” The songs were featured on popular coming-of-age shows like Dawson’s Creek included on the mix CD you made for your high school crush, and sang aloud by your mom while getting a ride to school. The rocker’s latest album, Mercy Bound, was released back in 2011, but McCain has a few tour stops scheduled for the summer months. This alt-rock band is best known for the song “Everything You Want,” a sweet catchy tune that appealed to everyone in a one-sided relationship. The track appeared on the band’s popular album by the same name, which dropped in 1999 and also featured sleeper hits like “We Are,” “You’re a God,” and “Best I Ever Had.” The band went on to release a number of albums and continued touring throughout the 2000s, but never regained that initial momentum. However, fans of Vertical Horizon will be happy to know the band is currently on tour through September and is sure to play the old favorites.